Addis Ababa-based Ethiopian Airlines says it was the first airline in Africa to operate jet services and that it will once again make history by being the first airline in Africa to operate the Boeing 787. Abu Dhabi’s Etihad Airways will add Addis Ababa, Ethiopia’s capital, to its rapidly growing network in November and will also launch service from its hub to the Indian city of Ahmedabad in the same month. 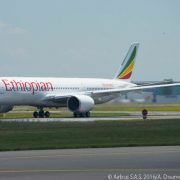 Ethiopian Airlines is launching four-times-weekly, non-stop service from Addis Ababa to Mahé in the Republic of Seychelles on April 1. Ethiopian Airlines is launching three-times-weekly service from Addis Ababa to Dammam, the capital of Saudi Arabia’s Eastern Province, on February 12. 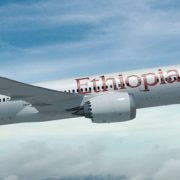 Increasing its presence in the Middle East, Ethiopian Airlines has begun three-times-weekly services linking Ethiopia’s capital Addis Ababa with Muscat, the capital of the Sultanate of Oman. At a ceremony held at Addis Ababa’s Bole International Airport on December 13, the Star Alliance Chief Executive Board has welcomed Ethiopian Airlines as the alliance’s third carrier based on the African continent.